The new issue of Juxtapoz Magazine magazine is out with an AWESOME review of the LightPad Revolution by Artograph! Thank you, Juxtapoz, and we agree! 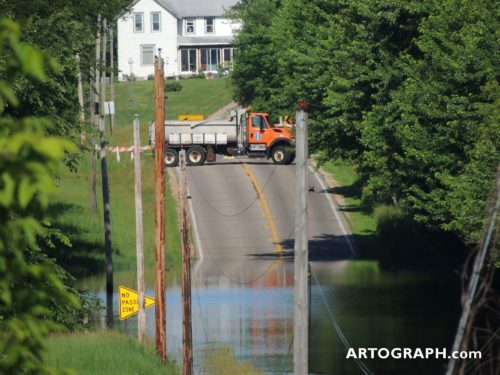 This entry was posted in Artograph News, InFocus on October 15, 2014 by Artograph. We LOVE seeing how you use your Artograph tools! Here are some bits of inspiration we’ve found around the Internet on how and why people are using Products For the Creative Mind from Artograph. Educational color and light play with the LightPad 950. Photo courtesy of Epic Childhood. Four new videos showing different techniques and artwork using the marbling kit and the Artograph LightPad are on Artograph’s YouTube channel under “LightPad Art done with Artograph LightPad.” Watch them all! The artist told us, of the LightPad and this wonderful artwork he created, “It is so awesome and makes my marbling look fabulous. We have been releasing a new marbling video each day this week using the light pad. They look great.” Thanks for sharing! Everything from very serviceable and simple models like the Artograph Glo Light Boxes to the big and beautiful Artograph – 17×24 Inch Light Pad . So from $22 to over $200 there is a price for every budget as they say! I find a lite box a must to own and it makes tracing all my designs really easy and quickly done within minutes. I use mine constantly especially for applique work and pattern transfers! 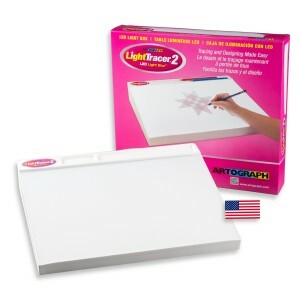 Click To Get Your hands On The Light Tracer box! I studied them all, read all the reviews and finally decided on the Artograph Light Pad Light Box in the 12″ x 9″ size. After finally deciding on this brand, I struggled deciding which size to order. I let reasoning take over and came to this decision based on most often using the printer, in conjunction with tracing, and with traditional sized printer paper size this would be a perfect fit. And it is. I love this thing! This entry was posted in Artograph News, InFocus, Inspiration and tagged Calligraphy, Embroidery, INSPIRATION, light box, LightPad, LightTracer, Quilting, Tracing on July 3, 2014 by Artograph. 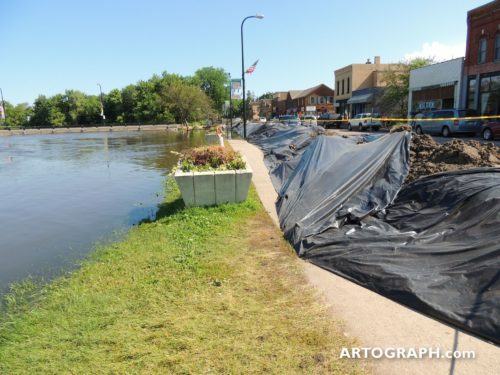 If you’ve been following the news, you may have heard the Crow River in Delano, Minnesota is flooding to the highest level since 1965. The river crested last night (Monday, June 23rd, 2014), but is still high, and more rain is forecast. 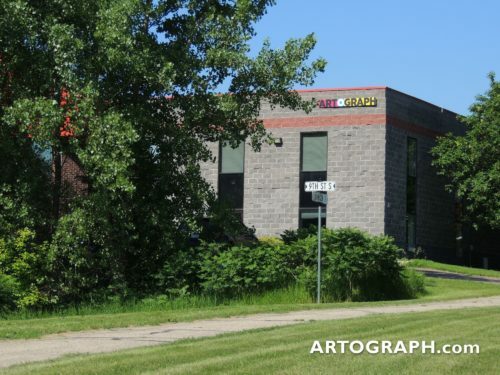 Artograph’s home is in Delano, but we’re high and dry here to the east of the river. 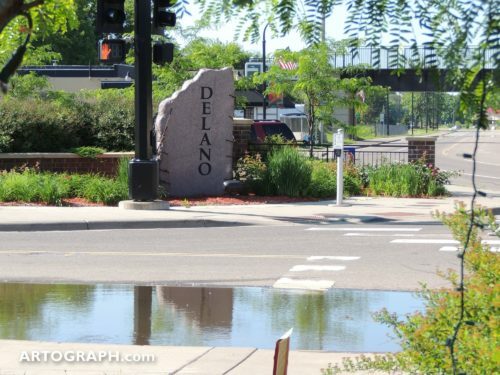 Here are some photos and video we took of the flooding in Delano and flooded areas around the town. We're high and dry here at Artograph in Delano. There's a beautiful marsh wetlands out our front door, but it's looking fine. The bridge is closed in Delano, due to the height of the Crow River, but the dirt levee is holding back the water quite well. 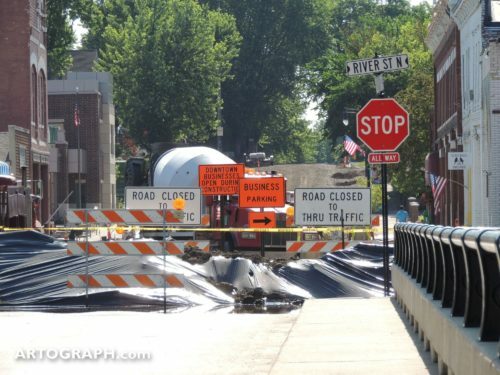 Bridge in Delano, Minnesota closed due to flooding. The water is high against the bottom of the bridge. 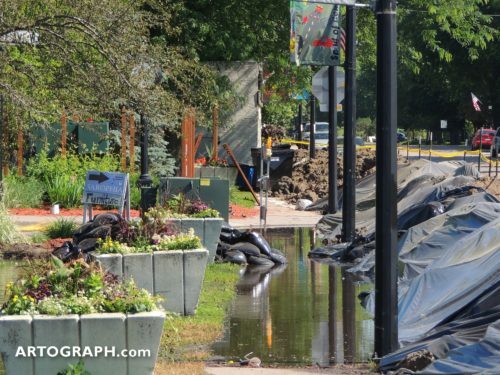 The dirt levee on the edge of downtown Delano is holding against the flood waters, which have caused the bridge to be closed. 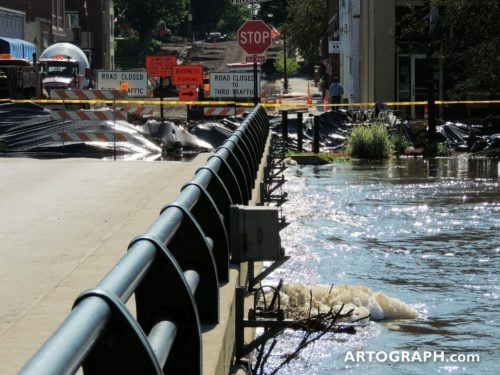 The Crow River in Delano, Minnesota the morning after the flood crested. The water is still high and running fast. 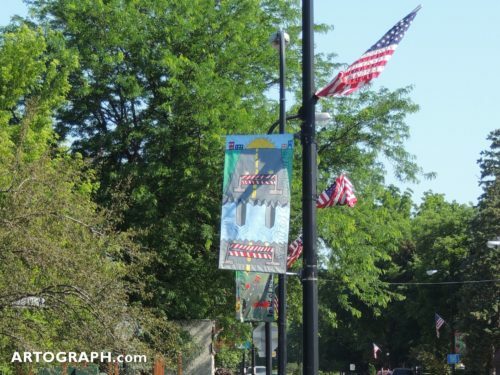 The spirit of Delano, Minnesota, which holds one of the biggest 4th of July celebrations in the state, is strong. Spirit of Community, the banner by the closed bridge says. 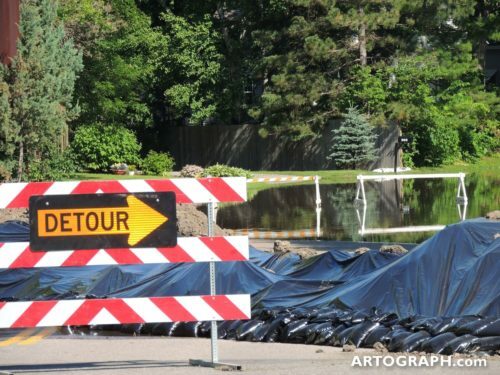 Some of the streets along the Crow River on the way to downtown Delano are closed due to flooding. Rebecca Park Trail, one of the roads into Delano, Minnesota, follows the Crow River. It is flooded several places and is closed. 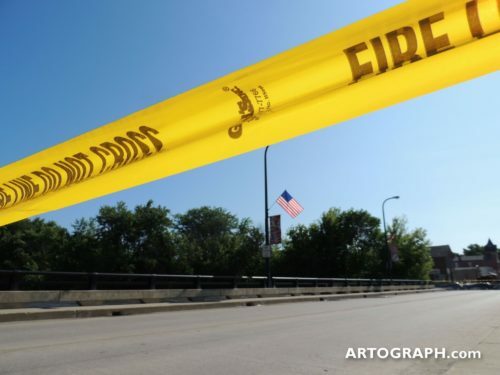 This entry was posted in Artograph News, Uncategorized on June 24, 2014 by Artograph.